When you run into no sound issues on Windows 10, you may want to reinstall the audio driver to fix the problem. 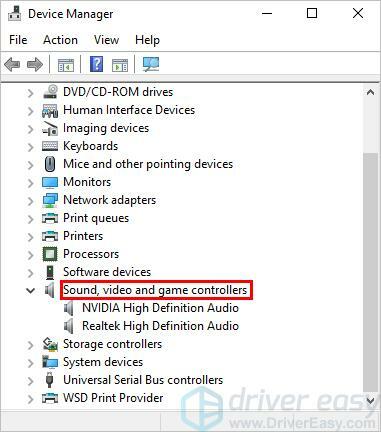 I’ll show you how to reinstall sound driver in Windows 10 step by step below. You can easily reinstall the audio driver even if you don’t have much computer skills. First, you need to uninstall the audio driver from Device Manager. 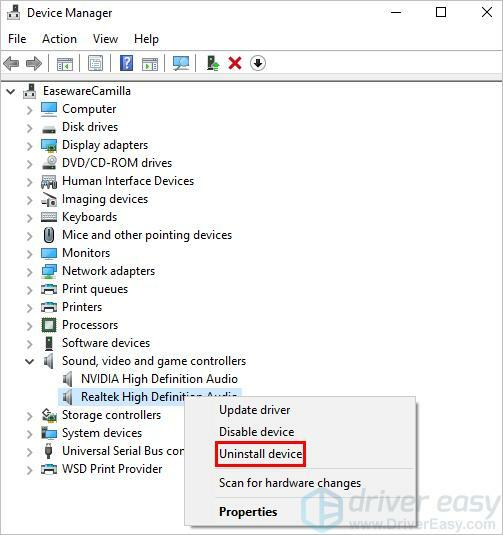 After uninstalling the driver, you can simply restart your PC to allow Windows to reinstall the audio driver. On your keyboard, type Win+R (the Windows logo key and the R key) at the same time to invoke the Run box. Type devmgmt.msc in the Run box and click OK to open Device Manager. Expand the category Sound,video and game controllers. Right-click on the sound device and click Uninstall device (in some cases, this could be just Uninstall). In the below example, the sound device is Realtek High Definition Audio. On the Uninstall confirm dialog box, select the Delete the driver software for this device option, then click Uninstall. 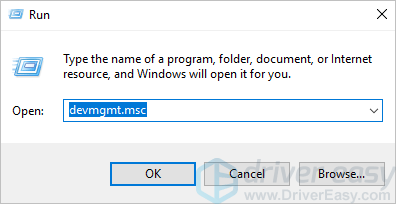 The option Delete the driver software for this device allows you to delete the driver package from the Driver Store (For more information about Driver Store, please see Driver Store in Microsoft. If you don’t see this option on the Uninstall confirm dialog box, the driver package may have been removed. 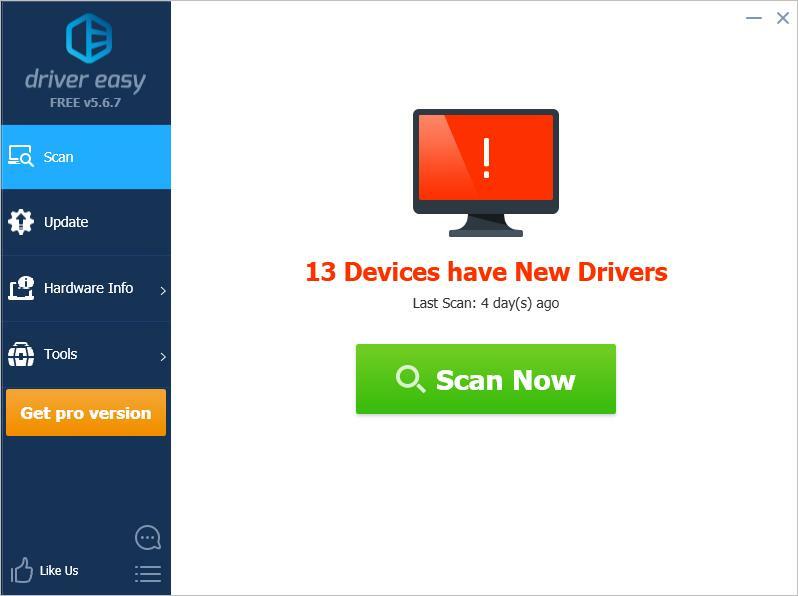 In this case, just click Uninstall to uninstall the driver. Restart your computer. The audio will be reinstalled automatically. 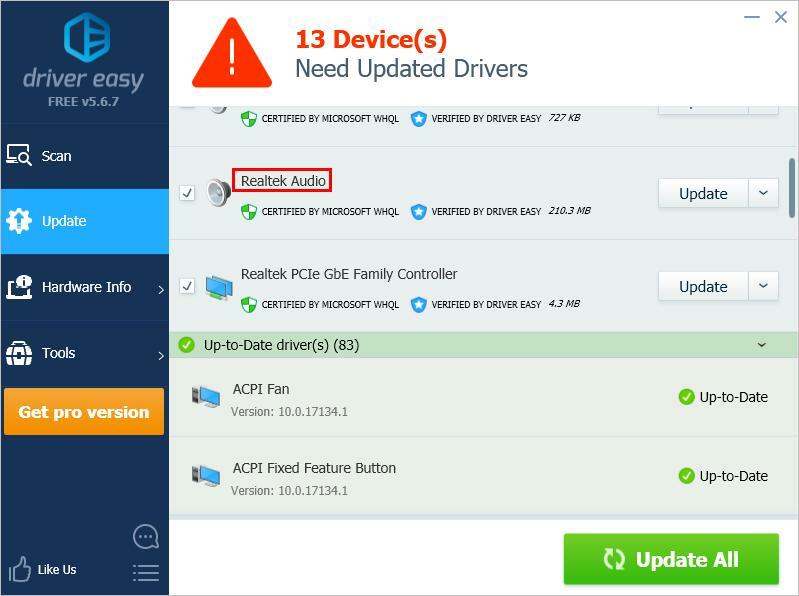 The above steps may help resolve your no sound issues, but if they don’t, you can install a new audio driver automatically with Driver Easy. Click the Update button next to a flagged audio driver to automatically download the correct version of this driver, then you can manually install it (you can do this with the FREE version). 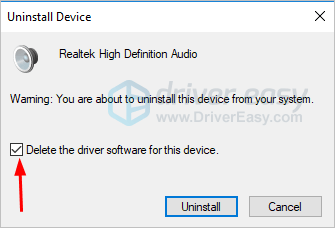 Hopefully you can reinstall the audio driver in Windows 10 with the above steps. If you have any questions, feel free to leave your comments below. I’d love to hear of any ideas or suggestions.